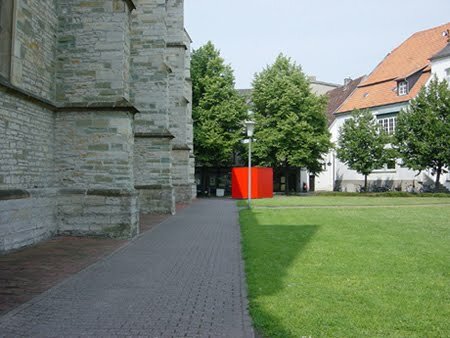 Technical Data: Sculpture/street shop box placed into the local market, productive land, conceptual plan for the development of the unit. 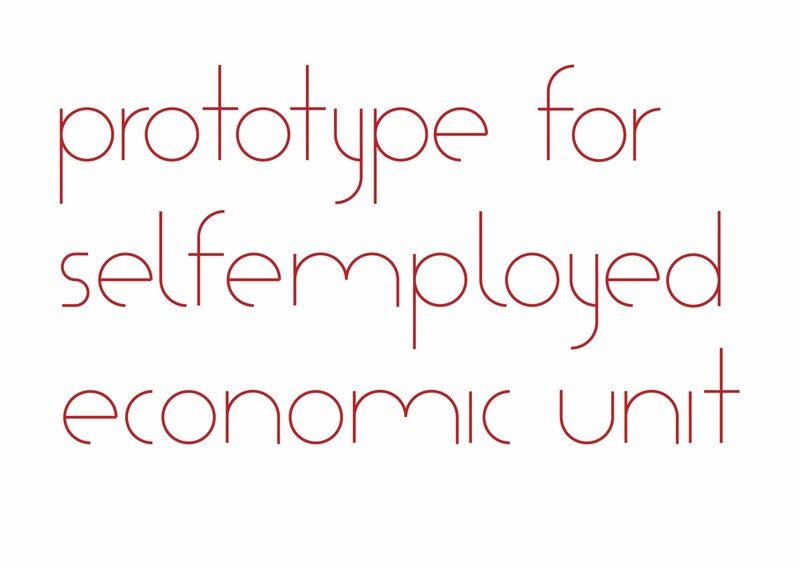 Concept: Prototype for Self Employed Economic Unit is developed as a support structure to create a new job in the Warendorf region, Germany, for unemployed women in their fifties. It is known that this age group has most difficulties in finding a job. The structure is composed from: a) sculpture/street shop box placed into the local market b) productive land c) conceptual plan for the development of the unit. The business proposal is based on the use of the land and sale of the products produced from the land at the local market. The woman would take care of the land, production and sale of the product. 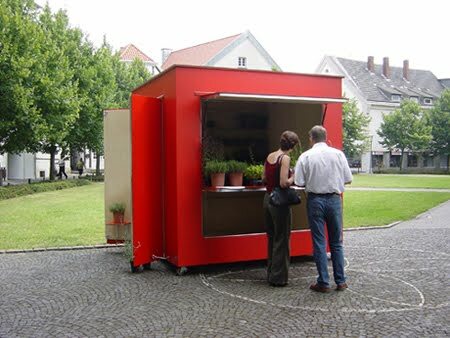 Street Shop Box is designed as a transformable object, which can change from a Public Sculpture on non-working days, into a Market Stand on working days.